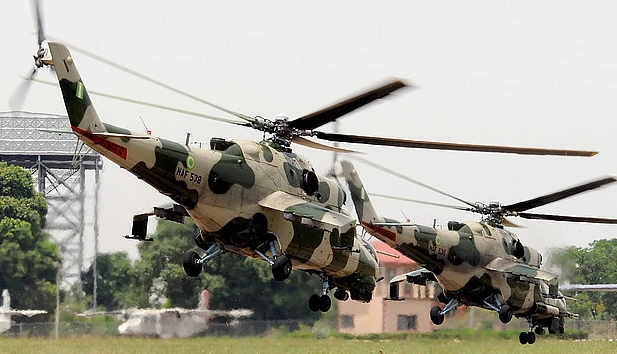 The Nigerian Air Force Component of Operation Lafiya Dole said it has destroyed operational base of the Boko Haram insurgent group in the Sambisa forest. The spokesman said: “During the ISR mission, a black vehicle and some Boko Haram terrorists were seen on the fringes of the Sambisa Forest. A confirmatory ISR mission on May 17, 2017 revealed that the Boko Haram terrorists are attempting to build a logistics base in the location. “Accordingly, Nigerian Air Force fighter aircraft were immediately called in to carry out strikes on the location. Subsequent battle damage assessment revealed that some of the structures and vehicles in the location were engulfed in an inferno and destroyed. “In addition, several Boko Haram terrorists within the structures under the tree were possibly killed by the strikes.